Greensboro Counseling supports individuals with depression counseling, anxiety counseling, bipolar counseling, career counseling, counseling for life goals, mood disorder counseling. Counseling office location is in Greensboro, NC 27410. Counselors Juan Santos and Stephanie wood talk shop on “Counseling at Work”. 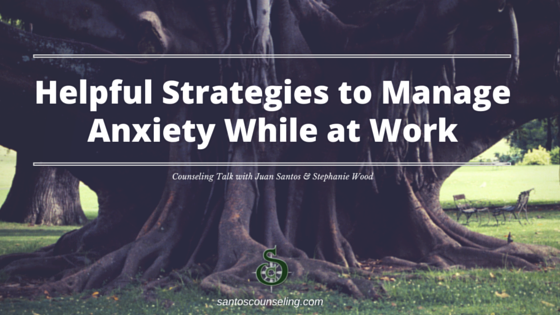 The video provides viewers with helpful strategies to manage, tame and control anxiety at work. Anxiety symptoms discussed include: hand tremors, feeling overly nervous when at work, experiencing difficulty concentrating, and focusing while at work. 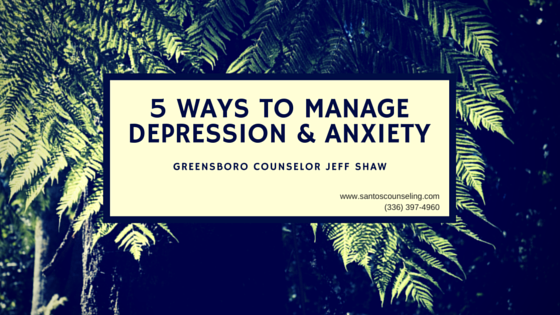 Counseling for anxiety is available in Greensboro by calling 336-707-1723. How to eliminate stress from your life. Strategies that help reduce stress, worry and anxiety on a day to day basis. Utilizing techniques such as deep breathing to create awareness around your anxiety while furthering building skills to reduce bad stress, negative thougths and anxiety.